In the naked hallway sprint? On the other hand we got beat handily by the Ravens, Chargers, Green Bay, and Chicago. Ahem, aren’t you forgetting something? Neither NE game was competitive. Until that changes, this team’s not going anywhere. You make a good point as he won’t be on the field as much. 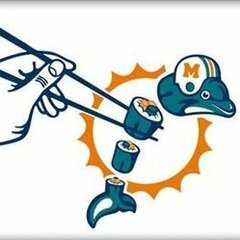 Daboll plays a lot of 12 personnel, so we’ll have if we can draft one of the top 3 TE’s, there will be less WR’s on the field. Brown and Foster as well as Beasley will be the top 3, not in that order necessarily, so Jones is going to be in more when in 11 personnel, a single back so we have 4 wides in on the play. He’ll probably contribute more in special teams. "Fluky 7 TDs" is something I'll never get tired of reading. How can something that happened 7 times be a fluke? that was my first thought too. how can 7 tds be "fluky"? not to say zay doesn't need to show significant improvement in his game, but some people try too hard to discount any good that may have actually occurred with this team. zay improved considerably from year one to year two. that's what we needed to see. I concur. I'm not Jones's biggest fan but to knock his TD output for last year seems odd. When I read he had 7 TDs I was flabbergasted. With the receivers and TE ( I suspect we'll see a TE early in the draft too) brought in over free agency he'll do well to match that next season even if his catch % and yards increase. First NE game was competitive only cause our defense kept us in the game. It did slip away quickly in the 4th. But yes the second NE game is a main reason why I feel our defense still has a long ways to go. Patriots offensive line had their way with our front 7 that game. Like I said need Edmunds and Star to step up this year and they need to add a few more pieces to it on top of that. No offense but I'm tired of people saying stuff like this. It sounds great but it's really just a cliche. Games are often decided on single event. Especially late in the game. A special team player fumbling or muffing a punt can easily change the outcome. Bad calls by refs also often change the result. The roughing the passer call on Brady against the Chiefs changed that game's out come. Sometimes the margin of victory is so small in this league that a single event or call of the ref can determine the outcome. The OP is correct in that ST's cost us games last year. And he had an 8th td reception that he fumbled at the goal line and Croom recovered for the TD. Not that fumbling at the goal line is to his credit. The Patriots have made special teams mistakes.......do they lose games because of them. I have the film on that game and will go back and re watch it.....I am willing to bet I can find at least 5 plays that are not special teams that decided that outcome. Manc- 12 personnel means two TE’s set, vs. 11 personnel is a three WR set, and 10 personnel is a 4 WR set. Nice post, OP, and I agree (unscientifically) with most if not all your assessments. I thought our #2 defensive ranking was overblown. I saw the defense frequently being gashed up the middle on runs. I saw especially competent offenses (Patriots) have their way with us. We showed well in the second game but eventually, like always, they wore us down and ran away with it. However I feel the defense is close; would love to see a monster 3-tech DL or another stud edge rusher, although I believe the interior lineman is the greater need. This isn't to say the defense was trash; it's difficult to diagnose because the offense was incompetent for the first half of the season, blips (@Vikings) notwithstanding. I think the defense is better by default because the offense (hopefully) is much better, same with special teams as you pointed out. Being better than the 2018 Bills' Offensive Line/Special Teams is a low bar to hurdle, I will jump the gun here and say "mission accomplished". 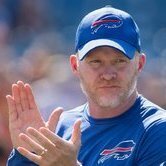 The Peterman thing will always be a head scratcher and a source of concern regarding McDermott, however I've come to accept that he must the world's greatest teammate and is a positive presence in the QB room. I'm not being sarcastic when I say this, he had other teams at least look at him (Raiders still have him, and Lions took a flyer). It says alot about AJ McCarron; he must not have been helpful to the other QBs at all, I think Beane had a quote (paraphrasing) "he was not who we expected". The homer optimism I have every year genuinely feels different this year. With what I believe are two fairly successful drafts under the regime's belt, I'm really looking forward to part 3. Worth noting that Zay Jones played in 88.9% of the offensive snaps last season. The next closest were Robert Foster (42%) and Kelvin Benjamin (48%). Sunday sitting around and my wife and kids wanted nothing to do with me. They were still on my dvr so I just started from the beginning. I’ll admit there was a couple times I dosed off. Sunday naps are the best! More succinctly stated, the first digit is # of RBs and the second digit is # of TEs in the formation. "11" is 1 RB, 1 TE, 3 WRs. "22" is 2 RB, 2 TE, 1 WR. Did you forget to shower? I never forget to shower. As I grow older I realized I sleep better if I just give in. Sometimes I will brush my teeth in the evening around 8:30 or 9:00 just in case I fall asleep watching tv with the Mrs. That way I just roll off the couch and walk straight to my bed. Boom! Youre so much more eloquent than me eball. Just kidding if that helps people.